As Khamenei urges “Death to America,” Kerry insists progress being made on nuclear deal. Obama administration is playing with fire. Readers wanting some Biblically-related background will find Mark Davidson’s recent thoughts on Daniel 8 of interest, as here. “Death to America!” says Iran’s Supreme Leader, the Ayatollah Ali Khamenei. We are rapidly approaching the March 31st deadline for the Iran nuclear negotiations. Yet while Iran makes few if any concessions, the P5+1 continues to make more and more concessions to the tyrants of Tehran. 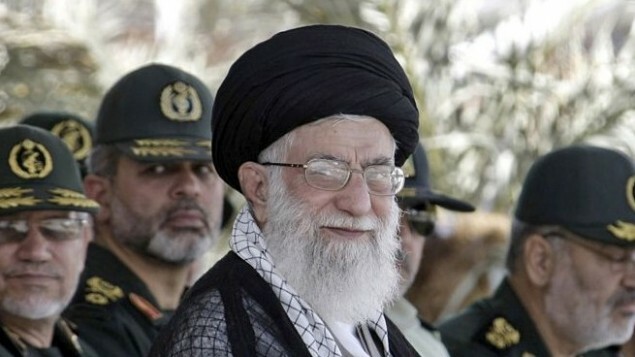 Iran’s leaders keep openly and unabashedly threatening America and Israel with annihilation. Yet the Obama administration and the major world powers keep giving Iran what it wants. Under the current deal that’s being discussion, Iran does not have to dismantle its nuclear infrastructure. It will still be allowed to enrich uranium. It does not have to disclose its nuclear weaponization efforts. It does not have to modify much less abandon its efforts to build ICBMs. And it will be given assurances that all economic sanctions will be removed from Iran in due time, and all nuclear inspectors will be removed, as well. This entry was posted in Geopolitics, Middle-East, News, Prophetic, USA and tagged Iran, Obama by Richard Barker. Bookmark the permalink.